Discipline is to impart knowledge, values, and skills. It is a way of life and a golden road to success in whatever you do. Inculcating discipline right from an early age helps children pick up the ideal form of following rules set by the family. Every family is unique and has its own inimitable way of life. Family dynamics play an important role in instilling discipline as a way of life. For the smooth functioning of a family, values, culture and way of life stand as a strong foundation. They provide a nurturing environment and establish unwritten rules for interaction. These rules may range from minor details like ‘washing hands before eating’ to consequential ones like ‘No Lying’. Thus the rules are universal to every member of the family and not just to the children. However, one must differentiate between family value systems and personal lifestyle choices. A misunderstanding here may result in the harshness of discipline. For example, the Head of the Family may want everyone else to behave the same way he behaves. This is not universal. This is personal to one person. Many times discipline is often associated with punishments and control, leaving aside the power of positive discipline and influence of reinforcements. Discipline is the pattern that helps the child fit into the real world happily and efficiently. It forms a foundation for the development of the child’s own self-discipline. Productive and positive discipline is about teaching and guiding children, to follow some collectively decided rules and systems and not just compel them to abide. As with all other interventions aimed at pointing out unacceptable behaviour, the child should always know that the parent loves and supports him or her. Trust as a vital aspect between parent and child should be maintained and continuously built upon. Increasing desirable behaviors instead of merely decreasing undesirable behaviors through punishment. To give emphasis to the importance of making positive changes in the child’s environment to improve the behaviour. Such changes may involve the use of Positive reinforcements like appreciation, rewards etc. Live the positive change to become a role model for the children. Involve every member of the family to choose and decide the discipline guidelines. Each family is unique and therefore has an exclusive set of discipline rules and guidelines. Involve children too while discussing and implementing the discipline rules and guidelines. This teaches a set of responsibility within children. Any Knowledge, skill or value taught with a lot of love and affection is recorded forever in the memory lanes. Children in a crisis first recollect the instructions given by parents. This helps them deal with the situations effectively and learn life lessons. Use simple words and a voice that is authoritative but not bossy. The situation was permitting, say “please do this,” more often than “don’t do that!” Help children understand what constructive criticism is and how it should be dealt with. Do not let the child away with a behavioral lapse at one time & punish the next time. This will confuse him & weaken your authority. This will also send wrong messages to the child and subsequently witness tantrums and weaning. Instead of saying “because I told you so”, explain the rationale behind your decisions and regulations. But be sure to make it brief. Children usually don’t like long explanations. With the reasons explained the child would be in a better position to not only obey but to absorb the behaviour & make it his own. Discipline is not meant to shame or embarrass. Treat the child gently and discipline him in private. From time to time, put yourself in his shoes and remember those times when as a child you were disciplined and how you felt about it. If you have a sound, realistic reason for wanting the child to adhere to your standard, and can explain it to children that are good enough. 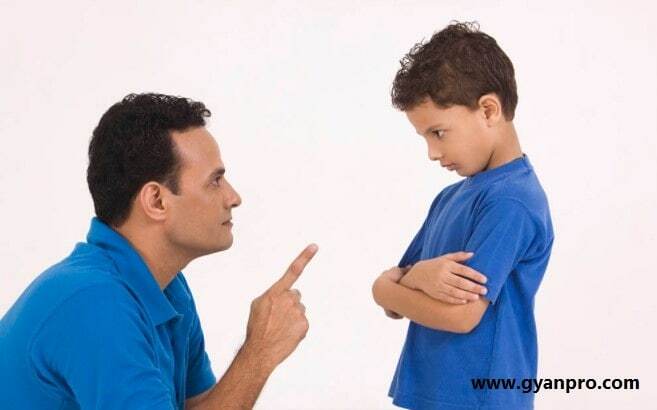 Do not coax the child or attempt to make him feel guilty for an act in the hope that you can play on his guilt the next time the child misbehaves. Children dislike being manipulated as much as adults do, and it will make them just as angry. You will gain nothing by pointing out how much better a classmate behaves. He can learn from the example of others, but not when under pressure. Comparisons at such moments are only likely to encourage defense. Do not delay consequences of the child’s misbehavior. Postponing punishment creates undue anxiety in the child, and the impact of the discipline is diluted when the punishment is distanced from the act. Whatever techniques you choose to use with the children, always observe the reaction closely to make sure your methods are bringing the intended results. If not, modify them or try a new track. Don’t hesitate to praise and encourage when your child responds positively to your Discipline. Nothing works as well as approval, and children will be eager to show you how much they can follow the rules once he has obtained your blessings. Use the world as a platform to appreciate your child’s efforts towards positive discipline but make sure you reprimand your child in private (in isolation) for any corrections or improvement in his approach towards discipline. Endorse the joy of Positive Discipline!